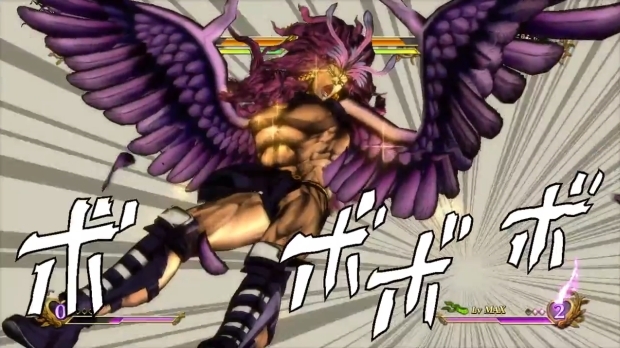 JoJo's Bizarre Adventure: All Star Battle is heading to the PS3, one of the "old" consoles. But I'd bet good money that even after E3 is over, after Microsoft and Sony have blown their game loads all over the internet, it'll still be the most stylish, fabulous game in the room. I'd like to think Namco Bandai and Cyberconnect2 (they of Naruto Ultimate Ninja Storm fame) are confident enough in that fabulousness that they'd release a new five-minute trailer mere hours before E3 kicks off officially. Is their confidence warranted? Check out the trailer and judge for yourself, and then once the pressers are done, see if anything that was on the big stages can compare.